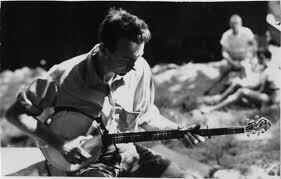 Pete Seeger was an American folk singer and legend. He passed away on January 27, 2014. His birthday was May 3, 1919. Below are picks chosen by PRX editorial staff. You can see all Pete Seeger radio on PRX by using our search. Legendary folksinger and social activist Pete Seeger is receiving long-delayed appreciation for his immense contribution to American music and culture. In this intimate conversation, Pete recalls it all through the prism of mellowed memory, his personal reflections on his life, times and his country's future laced with the sounds of his now-quavering but still strong voice. Pete Seeger on "We Shall Overcome"
Folk music legend Pete Seeger explains the history behind the civil rights anthem, "We Shall Overcome", and why this famous song has many brothers and sisters, fathers and mothers. And he sings, too. "Think globally and act locally" is the only way to make a difference in the world, according to folksinger and activist Pete Seeger. Instead of dwelling on monumental acts and tasks that affect millions, he urges us to keep our activism small and manageable, but stay persistent and with hope. How did a Harvard-educated boy become a radical, hitchhiking, banjo-playing, political activist? Program I explores Seeger’s youth and America’s folk revival of the 1930s and ‘40s. The origins of Pete Seeger go back to his family’s 18th Century immigration from Germany to Puritan New England and continues down through his musicologist parents, Charles and Constance Seeger. Seeger’s older brothers were given violin and piano lessons, but Pete was left to the ukulele. He grew up during the Depression amidst the folk music revival of the 1930s and ‘40s—with Alan Lomax, Lead Belly, and Woody Guthrie. Seeger’s youthful hitchhiking with a banjo collected folk music. The result was 124 records and CDs, which shape our repertoire as Americans—the songs we know words to, and might sing aloud on buses. This program evokes the exciting folk music revival of the 1950s and ‘60s and the role Seeger played in it. This program evokes the exciting folk music revival of the 1950s and ‘60s. It starts at Seeger’s first musical group, The Almanac Singers, who sang labor, peace songs and anti-Nazi songs in 1941. The story continues as Seeger formed the Weavers, a best-selling musical group in the 1950s, before being blacklisted. Throughout controversy, Seeger promoted folk music from many American traditions, a musical Johnny Appleseed. The musical emphasis here is ethnomusicological, on old-timey banjo tunes and on pop-folk crossover songs of the Weavers (“Kisses Sweeter Than Wine,” “Goodnight Irene”). Previously secret files reveal a history of FBI and CIA surveillance of the Hootenany crowd. Program III looks at the tradition of singing out for social change, and how the music of the Civil Rights, anti-war, and environmental movements galvanized Seeger’s life. Music has always served as a barometer of the times, even, if those ruling paid it scant attention. In the 1960s, Seeger’s life was galvanized by music of the Civil Rights, anti-war, and environmental movements. Though already the most-recorded American musician, from children’s songs to tunes on steel drums, he was blacklisted from network television. Many well-known folk musicians such as Joan Baez and the Kingston Trio were first heard and inspired to sing folk and topical songs by Pete Seeger. Eventually, he was honored by the NEA’s Medal of Arts, a Grammy, etc. Today, hundreds of bluegrass, blues, and folk festivals continue, bringing the folksongs Seeger taught to a younger generation. Pete Seeger’s legacy is continued by younger singers, such as Bruce Springsteen, Ani DiFranco, and the Dixie Chicks. EDITORIAL WARNING: REFERS TO HIM TURNING 90 "THIS YEAR". An exclusive interview with Pete Seeger, who turns 90 in May. (May 3rd) Program is relatively undated, referencing that Pete turns 90 "this year." Free to stations. music, too. Hosted by Rita Houston. Program is undated such that it can run well after May 3rd. This is expected to be Pete Seeger's only radio interview in support of the book. Air window opens Friday, May 1. One-hour music intensive radio special details how Bruce Springsteen was inspired by Pete Seeger's musical legacy while recording his latest album, We Shall Overcome: The Seeger Sessions. One-hour music intensive radio special details how Bruce Springsteen was inspired by Pete Seeger's musical legacy while recording his latest album, We Shall Overcome: The Seeger Sessions. We Shall Overcome features many of the folk songs made famous by Pete Seeger, including the title track and "Eyes on the Prize," that helped define America's civil rights movement. Springsteen's new interpretations remind us how these songs can be both fun and give a definitive statement as to who we are as Americans right now. Bruce Springsteen, Pete Seeger, rock critic Dave Marsh, and Seeger Sessions Band members Larry Eagle and Charlie Giordano discuss the power and history of Seeger's music, and the songs recorded for We Shall Overcome. This program also introduces two new recordings by Springsteen with the Seeger Sessions Band - Pete Seeger?s anti-war anthem "Bring 'em Home" and Blind Alfred Reed?s "How Can a Poor Man Stand Such Times and Live" with new verses written by Springsteen. Both songs have been highlights of Bruce?s current tour. Broadcast Window: Begins July 1, 2006 Contact: Andy Cahn, cahnmedia@comcast.net, 215-279-7632 Length: One hour with breaks for local spots Terms: Available for all USA broadcasters to air at no cost Spots: No barter spots are built into the show. 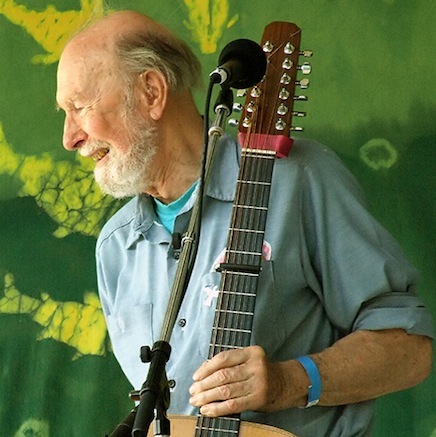 Folk music legend Pete Seeger celebrates his 94th birthday on May 3. Independent producer Rhonda Miller talks with David Dunaway, author of the Seeger biography “How Can I Keep from Singing.” Miller talked with Dunaway at his San Francisco home in April, where he hosted the Sonic Soiree, a listening lounge for independent radio producers. 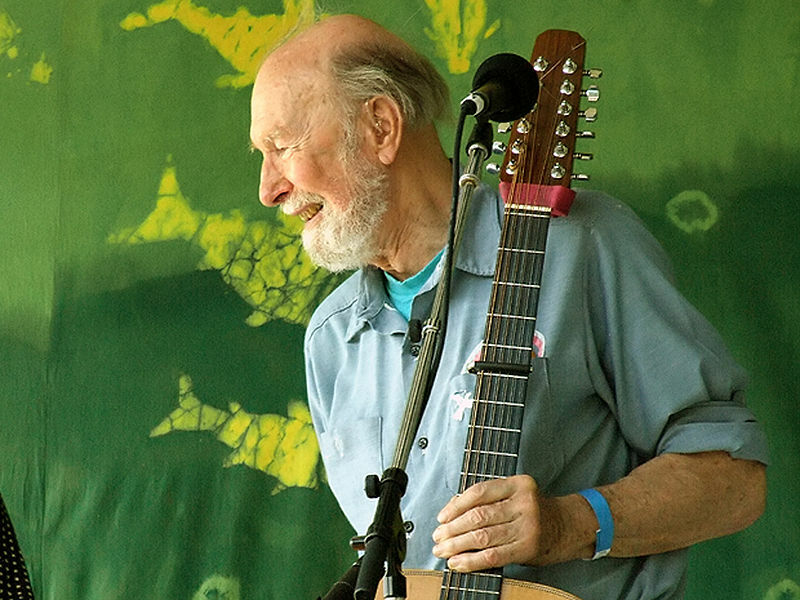 Folk music legend Pete Seeger celebrates his 94th birthday on May 3. Independent producer Rhonda Miller talks with David Dunaway, author of the Seeger biography “How Can I Keep from Singing.” Miller’s interview is part of her Rhode Island College master’s thesis project called “Folk River: The Vital Current of Folk Music in America.” Miller talked with Dunaway at his San Francisco home in April, where he hosted the Sonic Soiree, the area’s listening lounge for independent radio producers. Tribute to legendary singer-songwriter, political activist and environmentalist Pete Seeger featuring interviews, music and stories from a life far-traveled and well lived. 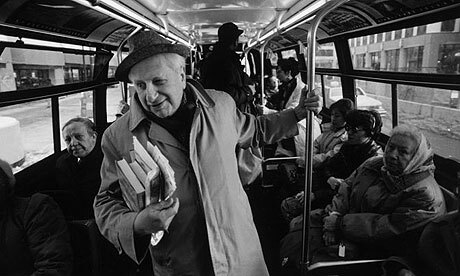 Studs Terkel, Harry Belafonte, Bruce Springsteen, Bob Dylan, Woody Guthrie and Pete himself act as our narrators. Featuring the Almanac Singers, the Weavers, Woody Guthrie, Harry Belafonte, Bob Dylan, Studs Terkel, Richie Havens, Stephen Colbert, Bruce Springsteen, The Freedom Singers, various children's chorus, plus interviews, live performances from Carnegie Hall, Newport, and Clearwater Music Festivals, stories, songs and clips from the extraordinary life of Pete Seeger. I was lucky enough to work at several Clearwater Festivals and got to interview and broadcast Pete over WBAI during Father's Day Weekends and treasure every moment and memory shared with one of the founding Fathers of Folk music.